1. Lou Manfredini will be the "Thirteenth Tenor" for opening night of The Twelve Tenors at Riverfront Theater. “If you listen to my show [WGN&apos;s Mr. Fix-It] you know I love to sing. Hopefully the fact that I’m a Baritone and not Irish won’t bring the whole thing down, I am very excited to be a part of this and I know it will be a lot of fun,” said Manfredini in a statement. 2. Theater on the Lake will get their own very special Non-Equity Jeff Award for their 60th anniversary. Those are June 4 at Park West. "Festive cocktail attire is suggested, and the public is cordially invited." 3. How to lead post-show discussions, for fun and for profit from Brant Russell who works for Steppenwolf. "[L]eading post-show discussions at Steppenwolf has been a process of constant discovery," writes Russell. Some of his suggestions? "Don’t lead a discussion for a play you’ve directed or produced" and "Ignore a**holes." 4. The Wind Up is Comedy of Chicago approved, and rocking Thursdays at the Laugh Factory. They say it&apos;s "the first independently produced showcase at a nationally recognized comedy club." 5. 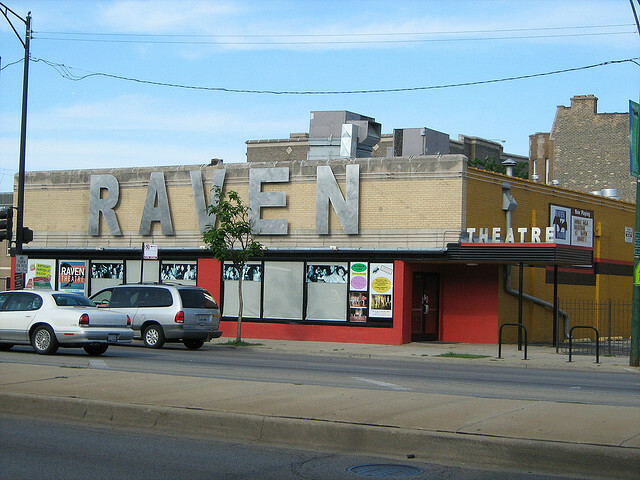 Raven Theatre&apos;s 2012-13 season (30th!) has been announced: The Big Knife by Clifford Odets starts in fall; Boy Gets Girl by Rebecca Gilman; A Soldier&apos;s Play by Charles Fuller; and Neil Simon&apos;s Brighton Beach Memoirs. They&apos;ve also just extended Wiggerlover [white boy+black dad=grey areas] an additional three week&apos;s of Friday performances.